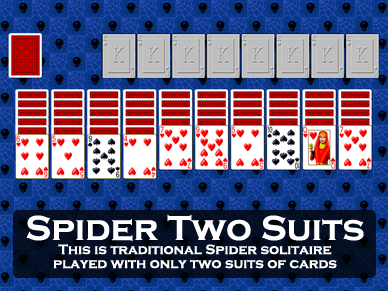 Click on the screen shot of the game Spider One Suit from Pretty Good Solitaire to download the 30 day free trial version. 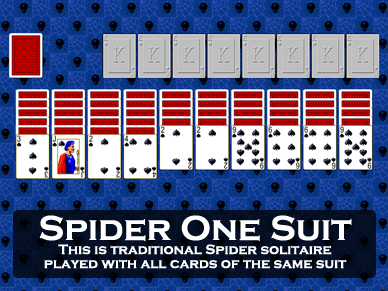 Spider One Suit is an easy version of the classic game Spider. 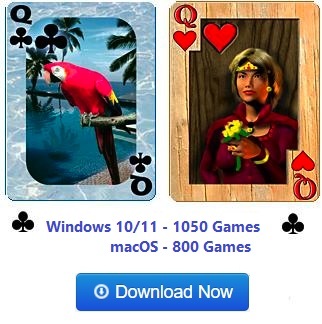 It is played with 2 decks of cards (104 cards), except all of the cards are of the same suit (Spades). 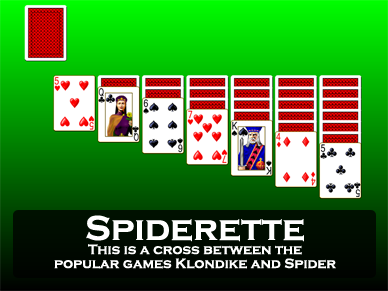 My version of Spider One Suit in Pretty Good Solitaire allows you to play offline, full screen, with complete undo and my unique right click quick move. 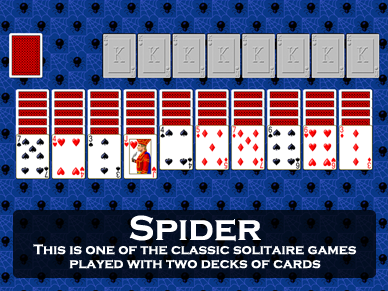 It's the best way to play Spider! There are ten tableau piles. At the start of the game 6 cards each are dealt to the first 4 piles, and 5 cards each to the remaining piles. Only the top card is face up. Building is down by suit (which is to say, just down, since all of the cards are of the same suit). Groups of cards down in sequence may be moved as a unit. 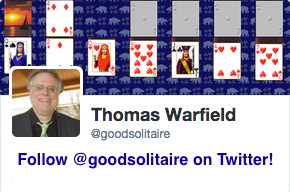 A space can be filled by any card or legal group of cards. Whenever a sequence of 13 cards down from King to Ace is formed, it is removed from play. The remainder of the cards are in the stock. Clicking on the stock deals 1 card to each tableau pile by clicking. All tableau piles must be filled before dealing. Note that this can be a problem if you get overzealous and form too many sequences before you have gotten all of the cards out of the stock. Make sure the stock is empty before completing too many sequences. 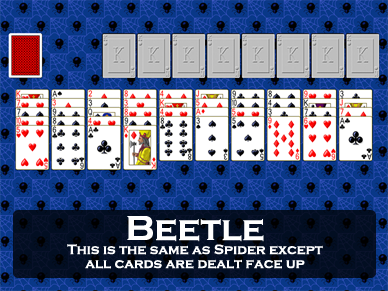 The game is won if all of the cards are removed in 13 card King to Ace sequences. 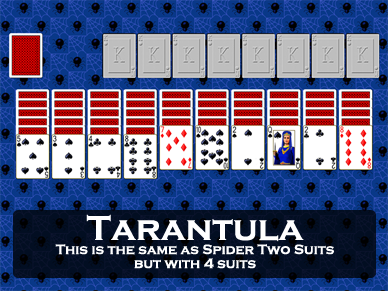 Spider One Suit plays exactly like Spider, but because all of the cards are the same suit, there is never a problem moving sequences. This makes Spider One Suit much, much easier than regular Spider. 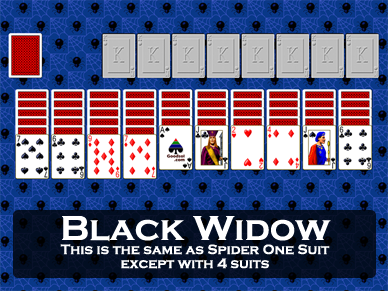 If you have trouble winning Spider, playing Spider One Suit is a great way to learn the basic strategies.